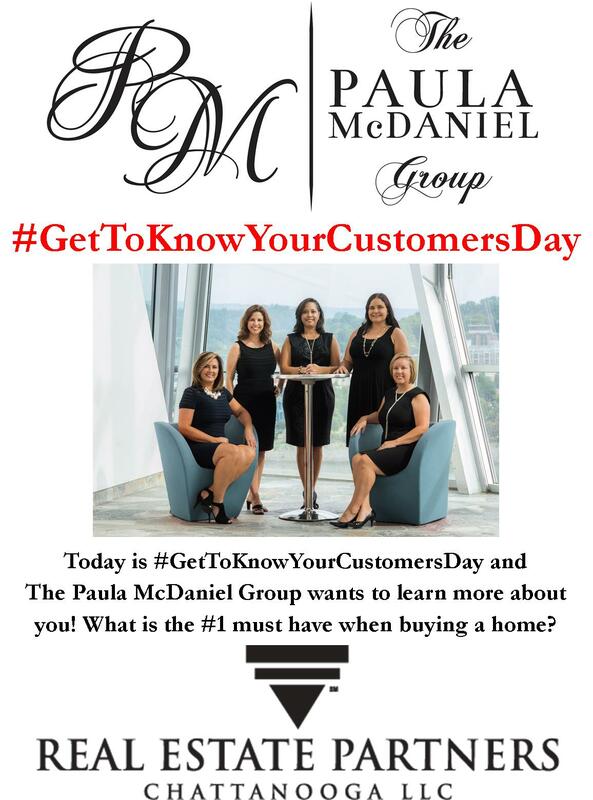 Today is #GetToKnowYourCustomersDay and The Paula McDaniel Group wants to learn more about you! What is the #1 must have when buying a home? The Paula McDaniel Group 423-667-2997. Real Estate Partners Chattanooga LLC 423-362-8333. Equal Housing Opportunity. Licensed in TN and GA.